As you might be aware, the General Data Protection Regulation (GDPR) came into effect on 25 May 2018 which aims to harmonize existing data protection legislation within the European Union. Companies have new obligations around the storing and processing of the personal data of their end users in the EU. EATIP has implemented proper measures to be GDPR compliant by 25 May 2018 and ensure your data is treated with the highest standards as laid out in the regulation. European aquaculture (including the European Union and the European Economic Area) encompasses the cultivation of a wide range of fish and mollusc species and is a true pan-European production activity, which has grown rapidly from a cottage industry in the 1960s into an industrial sector that is composed of multi-national companies, SMEs and family firms. In 2009, European aquaculture produced more than 1,800,000 MT of fish and 665,000 MT of shellfish, worth some 6.2 billion Euros (1,2). The production sector supports some 100,000 jobs and increasingly supplies the European processing sector, which employs some 130,000 people in the EU alone. The Multiple Retail Stores (MRS) now account for the major share of fish sales to the European consumer and this situation has been accompanied by a parallel rise in consumer preference for processed products and prepared convenience foods. The growth seen in production levels would not have occurred without the development of specialised hatcheries/nurseries, feed manufacturers and service sectors (e.g. equipment suppliers, veterinarians…). A common thread to each of aquaculture’s components is the knowledge base that has been developed through innovative research and development activities, led by Universities and Institutes throughout Europe, which have contributed to globally-recognised levels of excellence. 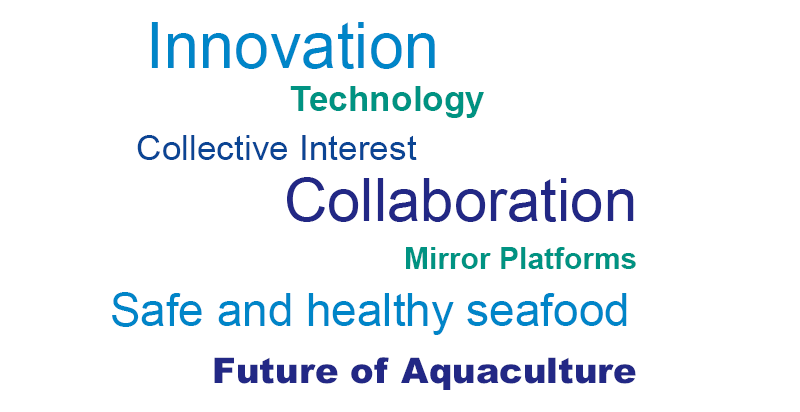 Aquaculture in Europe has thus created a dynamic and effective knowledge-based sector. While most of the products of European aquaculture are destined for the European consumer, the service and knowledge activities have established international activities that have accompanied global aquaculture development. Theses objectives are fully achievable by joining forces throughout the complete value-chain: producers and suppliers working with the researchers and policy makers.